In Flachau Valley there are two ski areas: the snow space Salzburg, from where you can “ski rock” from Wagrain to St . Johann / Alpendorf “ski areas” and the ski area Kleinarl-Zauchensee-Flachauwinkel. 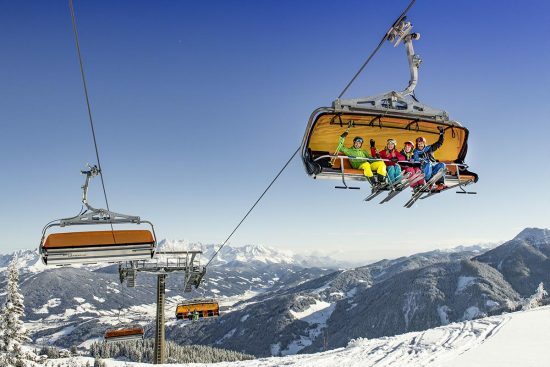 In World Cup town Flachau skiing means wide, clear and perfectly groomed slopes and comfortable lifts at the cutting edge of technology, which are mostly equipped with seat heating. The Snow Space Flachau was test winner at the “International Skiareatest 2013/2014” and was awarded the Golden Seal of Approval. This testifies to the high quality of our ski area. In Flachau there is a wide range of excellent ski schools. With the help of well-trained, multi-lingual ski instructors for both beginners and advanced riders, you can improve your skills.In order to book your ski lesson directly got to www.skischule-hermann-maier.at. The ski area Kleinarl-Zauchensee-Flachauwinkl also has modern ski facilities. 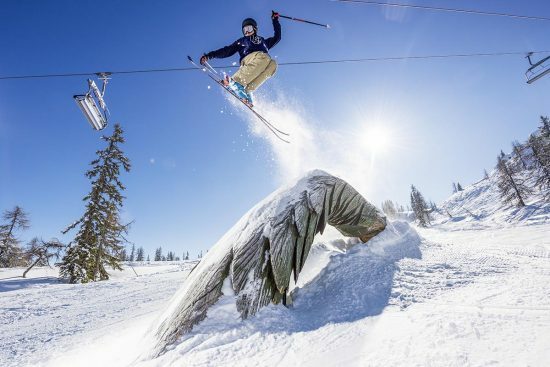 The snowboard and freeride park “Absolut Park” in Flachauwinkl – Kleinarl is especially known among the youth for kickerline, rail Line, jib park, beginner line, pipes, backcountry and the Stash. You can find a detailed description under www.absolutpark.com. Flachauwinkl- Zauchensee is world famous due to the yearly women’s downhill. In this sprawling ski area especially advanced skiers feel comfortable. The exercise circuit where also Hermann Maier learned to ski, is located in Reitdorf – the Speedy Jet. Thats the place for children to learn and practice skiing undisturbed. 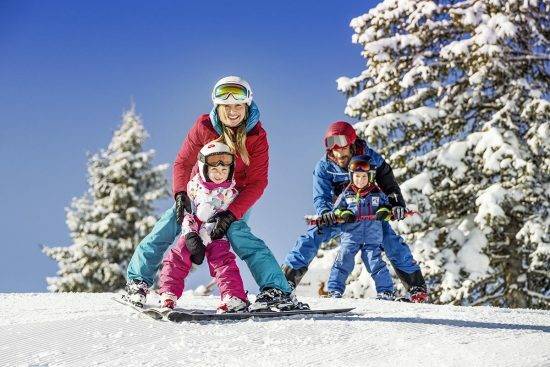 With 270 lifts and 760 km of slopes Ski Amade is one of the largest ski areas in Austria and Europe – you can get all the fun with just one ski pass. At the sports outfitters, “Sport im Ort”, you receive a 10% discount on all rental items if you guest with us. Go to www.sportimort.at.